BEVERLY HILLS, Calif. – June 2, 2017 – Waldorf Astoria Hotels & Resorts, Hilton's (NYSE: HLT) luxury brand of iconic landmark hotels, today announces the opening of Waldorf Astoria Beverly Hills, adding a much-anticipated, soon-to-be-iconic hotel to the intersection of Wilshire and Santa Monica boulevards – the gateway to Beverly Hills. 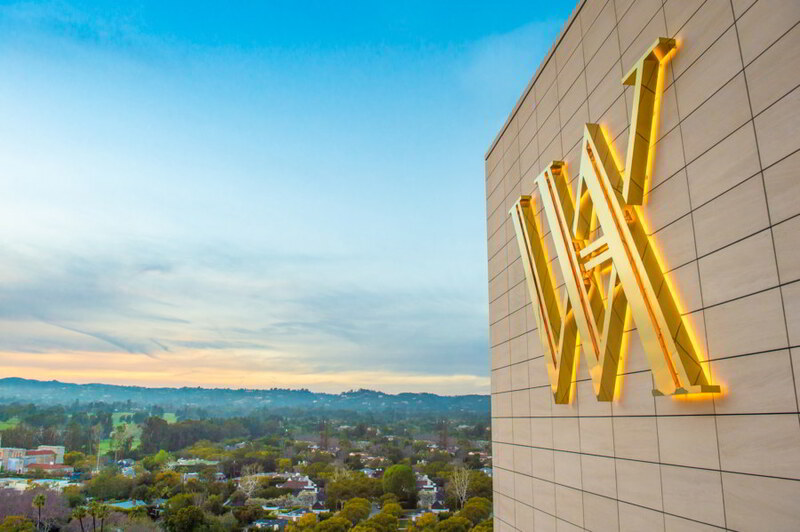 Adjacent to The Beverly Hilton, the 12-story hotel is the Waldorf Astoria Hotels & Resorts' first new build on the West Coast and second California property, joining the legendary Waldorf Astoria portfolio of now 26 hotels and resorts. Owned by Alagem Capital Group and clients of Guggenheim Partners, the hotel's 119 deluxe rooms and 51 suites are part of a world-class, Art Deco-influenced design created by renowned interior design firm Pierre-Yves Rochon, Inc (PYR). "Bringing the renowned Waldorf Astoria brand to Beverly Hills has been a dream for many years," says owner Beny Alagem, "and as we open our doors to this stunningly beautiful hotel today, I think every visitor stepping across our threshold will agree that our dream has been fulfilled far and beyond even our wildest imagination." As part of the Waldorf Astoria's dedication to the ultimate in luxury and True Waldorf Service, a Personal Concierge is assigned to every guest, from pre-arrival until departure, including an individual bespoke in-room check-in service that ensures authentic interactions sure to inspire within each guest a strong yearning to return. Gensler and PYR are the co-design architects of the Waldorf Astoria Beverly Hills. To create a cohesive architectural design inside and out, Gensler designed the master plan for the property and co-designed the exterior of the hotel with PYR. Each of the 170 guestrooms, inspired by the contemporary interpretation of Hollywood glamour and the Streamline Moderne style of the 1930s and 40s, offers unrivaled vistas ranging from a bird's eye view of the Hollywood Hills to the nearby expansive urban canyon of Century City and well beyond. Every room features floor-to-ceiling windows that open onto oversized private balconies, perfect for drinking in the sunset or simply checking out Rodeo Drive, the Beverly Hills shopping mecca just to the east, within easy walking distance of the Waldorf Astoria. In the public spaces of the Waldorf Astoria Beverly Hills, guests will discover chic touches throughout the hotel, from the triple-height lobby with a contemporary Art Deco design to hand-painted murals, custom crystal chandeliers and elegant Lalique installations. Richly upholstered furniture in soothing tones of celadon, taupe and white is accented by spectacular pieces of art, creating an environment that is both sophisticated and relaxing. The rooftop pool deck, available only to hotel guests, will be the loftiest and largest rooftop destination of its kind in Beverly Hills. Impeccably landscaped, the rooftop gathering area will include, VIP cabanas, a lounge area with panoramic views as well as a swimming pool. World-class dining comes to the hotel with three highly anticipated venues created by the legendary French chef Jean-Georges Vongerichten. With the elegant Jean-Georges Beverly Hills, the chef's signature restaurant, as well as The Rooftop by JG and Jean-Georges Beverly Hills Bar, a new standard in fine food comes to Beverly Hills. Helmed by a top-notch team of culinary experts hand picked by Vongerichten and including Executive Chef Steve Benjamin of L'Atelier de Joël Robuchon fame, the chefs are committed to sourcing foods locally whenever possible and a cornerstone of the menus in all the food and beverage offerings at the Waldorf Astoria Beverly Hills. Guests can enjoy a private Rolls Royce house car offering complimentary drop-off service within a two-mile radius, or simply stay home in the hotel and lounge in a private cabana at the rooftop pool, enjoy a deluxe treatment at the only La Prairie Spa in Los Angeles, or stop in for a makeover at the Tracey Cunningham Salon, with services by celebrity hair colorist Tracey Cunningham. The hotel also features 6,300 square feet of meeting spaces, including two ballrooms, perfect for weddings, corporate meetings or gala celebrations. Waldorf Astoria Beverly Hills will participate in Hilton Honors®, the award-winning guest-loyalty program for Hilton’s 14 distinct brands. Hilton Honors members who book directly through preferred Hilton channels have access to instant benefits, including a flexible payment slider that allows members to choose nearly any combination of Points and money to book a stay, an exclusive member discount that can’t be found anywhere else and free standard Wi-Fi. Members also enjoy popular digital tools available exclusively through the industry-leading Hilton Honors mobile app. The Waldorf Astoria Beverly Hills is located at 9850 Wilshire Boulevard, Beverly Hills, CA 90210. Jerone Werdmolder serves as the general manager and Luc Delafosse is the managing director. Reach the hotel at 1-800-774-1500 and learn more about Waldorf Astoria Hotels & Resorts at www.waldorfastoria.com or news.waldorfastoria.com. Waldorf Astoria Hotels & Resorts is a portfolio of 26 iconic properties in the world’s most sought after destinations. Unified by their inspirational environments and True Waldorf Service, Waldorf Astoria hotels deliver unparalleled, bespoke service from the moment a guest books through check out. Waldorf Astoria is a part of Hilton, a leading global hospitality company. Experience Waldorf Astoria by booking at www.waldorfastoria.com or through the Hilton Honors mobile app. Learn about the brand by visiting http://news.waldorfastoria.com, and follow Waldorf Astoria on Twitter, Instagram and Facebook. Hilton (NYSE: HLT) is a leading global hospitality company, with a portfolio of 14 world-class brands comprising nearly 5,000 properties with more than 812,000 rooms in 103 countries and territories. Hilton is dedicated to fulfilling its mission to be the world’s most hospitable company by delivering exceptional experiences – every hotel, every guest, every time. The company's portfolio includes Hilton Hotels & Resorts, Waldorf Astoria Hotels & Resorts, Conrad Hotels & Resorts, Canopy by Hilton, Curio - A Collection by Hilton, DoubleTree by Hilton, Tapestry Collection by Hilton, Embassy Suites by Hilton, Hilton Garden Inn, Hampton by Hilton, Tru by Hilton, Homewood Suites by Hilton, Home2 Suites by Hilton and Hilton Grand Vacations. The company also manages an award-winning customer loyalty program, Hilton Honors. Hilton Honors members who book directly through preferred Hilton channels have access to instant benefits, including a flexible payment slider that allows members to choose exactly how many Points to combine with money, an exclusive member discount that can’t be found anywhere else and free standard Wi-Fi. Visit newsroom.hilton.com for more information and connect with Hilton on Facebook, Twitter, LinkedIn, Instagram and YouTube.